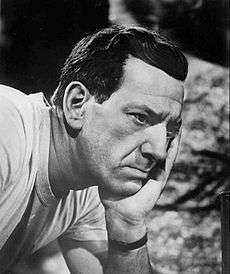 Jacob Joachim "Jack" Klugman (April 27, 1922 – December 24, 2012) was an American stage, film, and television actor. Klugman began his career in 1950. He later moved on to television and film work with roles in 12 Angry Men (1957) and Cry Terror! (1958). During the 1960s, he guest-starred on numerous television series. Klugman won his first Primetime Emmy Award for his guest-starring role on The Defenders, in 1964. He also made a total of four appearances on The Twilight Zone from 1960 to 1963. In 1970, Klugman reprised his Broadway role of Oscar Madison in the television adaptation of The Odd Couple, opposite Tony Randall. The series aired from 1970 to 1975. Klugman won his second and third Primetime Emmy Awards and a Golden Globe Award for his work on the series. From 1976 to 1983, he starred in the title role in Quincy, M.E. for which he earned four Primetime Emmy Award nominations. In 1985, he appeared in an episode of The Love Boat entitled "Scandinavian Cruise" parts one and two. In 1954, he played Jim Hanson on the soap opera, The Greatest Gift. The following year, he appeared in the live television broadcast of Producers' Showcase, in the episode "The Petrified Forest" with Humphrey Bogart and Henry Fonda. Klugman later said the experience was the greatest thrill of his career. Klugman went on to star in several classic films, including 12 Angry Men (1957) as juror number five. Of the 12 actors to play a juror in the film, Klugman was the last survivor. In 1959, he returned to Broadway in the original production of Gypsy: A Musical Fable. In 1960, he was nominated for a Tony Award for Best Featured Actor (Musical) for his role in the show, but lost to Tom Bosley in Fiorello!. He remained with Gypsy until it closed in March 1961. From 1960 to 1963, Klugman appeared in four episodes of the The Twilight Zone series: "A Passage for Trumpet" (1960), "A Game of Pool" (1961), "Death Ship" (1963), and "In Praise of Pip" (1963). Klugman tied with Burgess Meredith for the most appearances in a starring role on the series. In 1964, Klugman won his first Primetime Emmy Award for his guest starring role on The Defenders. That same year, Klugman landed the starring role in the sitcom Harris Against the World. The series was a part of an experimental block of sitcoms that aired on NBC entitled 90 Bristol Court. Harris Against the World, along with the other sitcoms that aired in the block, were canceled due to low ratings the following year. Klugman continued the decade with multiple guest roles on television including The F.B.I., Ben Casey, The Name of the Game, and Insight. He also appeared on Broadway in Tchin-Tchin, from October 1962 to May 1963. From 1960 to 1963, Jack Klugman appeared in two episodes of the The Untouchables series: "Loophole" (1961), and "An Eye for an Eye" (1963). Following the end of The Odd Couple, Klugman returned to television in 1976 in Quincy, M.E. on NBC. Klugman portrayed Dr. Quincy, a forensic pathologist who worked for the Los Angeles County Coroner's Office and solved crimes. He was nominated for four Primetime Emmy Awards for his work on the series and also wrote four episodes. Quincy aired for a total of 148 episodes over seven seasons, ending in 1983. In 1986, Klugman starred in the sitcom You Again?, co-starring John Stamos as Klugman's character's son. The series aired on NBC for two seasons before being canceled. During the show's run, Klugman also appeared on Broadway in I'm Not Rappaport. The show closed in 1988. The following year, he co-starred in the television miniseries Around the World in 80 Days. In 1996, he co-starred in The Twilight of the Golds and the comedy film Dear God. He resumed his television career with guest spots on Diagnosis: Murder. He also starred in The Outer Limits episode "Glitch," and appeared in an episode of the TV series Crossing Jordan. In 1997 Klugman starred in the Broadway revival of The Sunshine Boys, his last stage production. In 2005, Klugman co-starred in the comedy film When Do We Eat?. That same year, he published Tony and Me: A Story of Friendship, a book about his long friendship with his The Odd Couple co-star Tony Randall. Klugman gave the eulogy at Randall's memorial service in 2004. Klugman, who liked the same New York Mets whose cap he wore as Oscar Madison, started an MLB.com PRO Blog called Klugman's Korner to talk baseball and Randall. In 2008, he sued NBC Television concerning missing profits from his show Quincy M.E. The lawsuit was filed in California Superior Court, with Klugman requesting NBC to show him the original contract. Klugman stated that his production company, Sweater Productions, should have received 25% of the show's net profits. NBC Universal and Klugman settled the lawsuit on undisclosed terms in August 2010. His last on-screen role was in the 2010 horror film Camera Obscura. Klugman's final acting job was in a stage production of Twelve Angry Men at the George Street Playhouse. It opened on March 13, 2012. Klugman was diagnosed with throat cancer in 1974. In 1989, he lost a vocal cord to cancer, but continued to act on stage and television, though he was left with a quiet, raspy voice. In later years subsequent to his operation, he regained limited strength in his voice. Klugman married actress Brett Somers in 1953. The couple had two children, Adam (who had a cameo as Oscar Madison as a child in a flashback on The Odd Couple) and David, before separating in 1974. It was long reported that Somers and Klugman separated in 1974 but remained legally married until her death. However, California records indicate the couple divorced in 1977. Somers died at age 83 from cancer in 2007. Klugman died at the age of 90 in Woodland Hills, California from prostate cancer, on December 24, 2012. The New York Times referred to him and actor Charles Durning, who died the same day, as "extraordinary actors ennobling the ordinary." The Huffington Post compared the two men, calling them "character actor titans". 1954 Rocky King, Inside Detective Episode: "Return for Death"
↑ "Jack Klugman Interview Part 1 of 5 - EMMYTVLEGENDS.ORG". Academy of Television Arts & Sciences. 1998-05-01. Retrieved 2015-03-02. 1 2 3 4 Bruce Weber (reporter) (December 24, 2012). "Jack Klugman, Actor of Everyman Integrity, Dies at 90". New York Times. Retrieved 2015-03-02. Jack Klugman, the rubber-mugged character actor who leapt to television stardom in the 1970s as the slovenly sportswriter Oscar Madison on “The Odd Couple” and as the crusading forensic pathologist of “Quincy, M.E.,” died on Monday at his home in the Woodland Hills section of Los Angeles. He was 90. ... Mr. Klugman’s path to success was serendipitous. He was born in Philadelphia on April 27, 1922, the youngest of six children of immigrants from Russia. Most sources indicate that his name at birth was Jacob, though Mr. Klugman said in an interview that the name on his birth certificate is Jack. 1 2 Feinberg, Scott (2012-05-08). "Jack Klugman Turns 90, Reflects on Life and Legendary Stage, Film and TV Career (Video)". The Hollywood Reporter. Retrieved 2015-03-02. ↑ C and N Rasmussen (contributor) (December 24, 2012). "Jack Klugman, Actor of Everyman Integrity, Dies at 90". New York Times. Retrieved 2015-03-02. Jack Klugman, the rubber-mugged character actor who leapt to television stardom in the 1970s as the slovenly sportswriter Oscar Madison on “The Odd Couple” and as the crusading forensic pathologist of “Quincy, M.E.,” died on Monday at his home in the Woodland Hills section of Los Angeles. He was 90. ... Mr. Klugman’s path to success was serendipitous. He was born in Philadelphia on April 27, 1922, the youngest of six children of immigrants from Russia. Most sources indicate that his name at birth was Jacob, though Mr. Klugman said in an interview that the name on his birth certificate is Jack. 1 2 "California Divorce Index/1966-1984 (Jack Klugman)". Ancestry.Com/State of California. Retrieved September 10, 2016. ↑ "Primetime Emmy Award Database". Retrieved August 7, 2012. ↑ McLellan, Dennis (December 24, 2012). 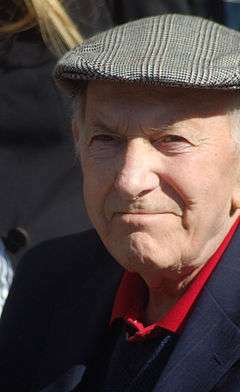 "Jack Klugman dies at 90; star of TV's 'The Odd Couple,' 'Quincy'". Los Angeles Times. Retrieved 2012-12-25. ↑ "Awards Search". HFPA. Retrieved August 7, 2012. ↑ "Jack Klugman Biography (1922?-)". Filmreference.com. Retrieved August 19, 2012. 1 2 "Jack Klugman dies at 90". Associated Press. Retrieved December 24, 2012. ↑ TV Guide. January 7-13, 2013 pg. 8. ↑ TV Guide Guide to TV. Barnes and Noble. 2004. p. 264. ISBN 0-7607-5634-1. ↑ Ankeny, Jason. The Odd Couple Sings at AllMusic. Retrieved December 20, 2011. 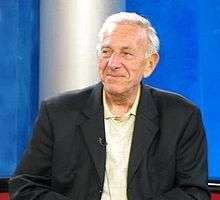 ↑ "Vereran actor Jack Klugman dies in Los Angeles". USA Today. December 24, 2012. Retrieved December 24, 2012. ↑ "Daily Telegraph Obituary". The Daily Telegraph. London. December 25, 2012. 1 2 Friedman, Roger (May 31, 2004). "Klugman, Family and Friends Say Goodbye to Tony Randall". Fox News Channel. Retrieved December 26, 2009. ↑ Jack Klugman (May 31, 2004). "Eulogy: Tony Randall". Time. 163 (22): 24. 1 2 3 Belloni, Matt (August 9, 2010). "Klugman, NBC Universal settle 'Quincy' profits lawsuit". The Hollywood Reporter. Retrieved September 26, 2010. ↑ Gans, Andrew (17 February 2012). "Jack Klugman, Gregg Edelman, David Schramm, Jonathan Hadary, James Rebhorn Will Be George Street's Angry Men". Playbill. Retrieved 9 July 2015. ↑ Gliatto, Tom (May 31, 2004). "A Neat Guy". People. 61 (21). Retrieved December 5, 2010. ↑ "Jack Klugman dies", cnn.com, December 24, 2012; accessed July 9, 2015. ↑ "'Match Game's' Brett Somers dies at 83". CNN. Archived from the original on September 18, 2007. Retrieved December 18, 2008. ↑ December 25, 2012. "Peggy J. Crosby-Klugman is Odd Couple Actor Jack Klugman's Wife". Showbizdaily. Retrieved December 28, 2012. ↑ "Jack Klugman Gets Married – at 85". People.com. People. February 8, 2008. Retrieved April 5, 2016. ↑ "Jack Klugman Is a Newlywed". TV Guide. Retrieved December 18, 2008. ↑ Legged, William (March 24, 1980). "The Odd Couple: A Hot Tip". Sports Illustrated. Retrieved December 24, 2012. ↑ "AND NOW THERE'S EVEN PIZZA POPCORN". The New York Times. August 18, 1983.